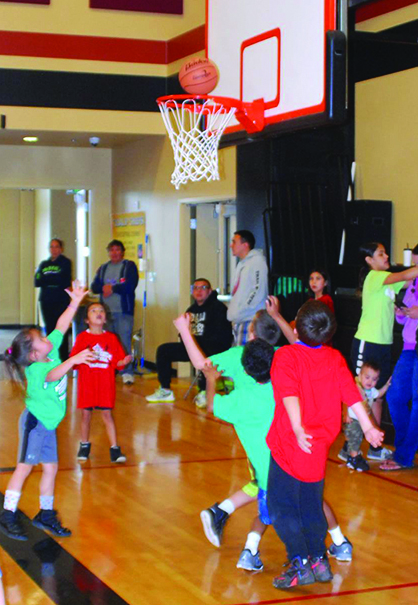 Tulalip hosted its quarterly biddy ball tournament on Sunday, March 20 at the Greg Williams court located within the Don Hatch Youth Center. The event was open to all kids ages 3-5 and 6-7 years old. 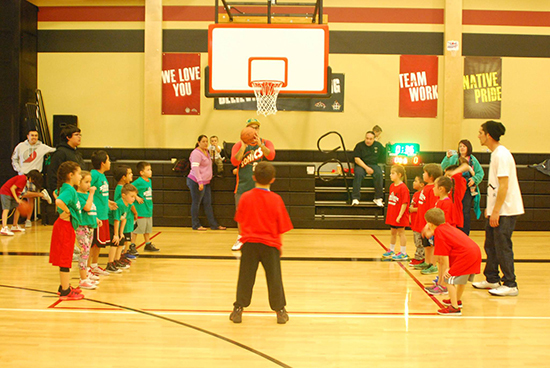 The Tulalip biddy ball program caters to the youngest generation of aspiring hoopers. It features lower nets, a shortened court, and is for young children who are just learning to play the game of basketball. Biddy ball is really an instructional program setup for children of all level of experience to enjoy. There’s a lot of running around, basic skill sets, and learning the fundamentals of dribbling and shooting a set shot. During one session, the kids practiced drippling back and forth with then their dominant hand, then switched to dribbling with their other hand. While during another session they worked almost entirely on footwork. The program at one point drew an estimated 50-60 kids. All the kids received a free t-shirt with ‘Next Generation Biddy Ball’ written across it. Be on the lookout for more information on Tulalip’s biddy ball program in future issues of the syəcəb newspaper and on our Tulalip News Facebook page. If you have any questions or concerns call Tulalip Youth Services at (360) 716-4909. 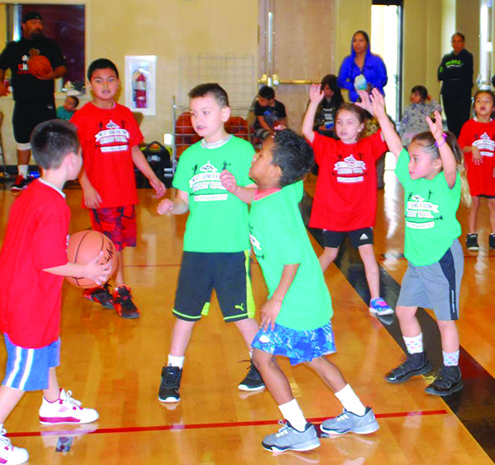 This entry was posted in Sports, Tulalip News and tagged Biddy Ball, Native, sports, Tulalip, youth by Kim Kalliber. Bookmark the permalink.